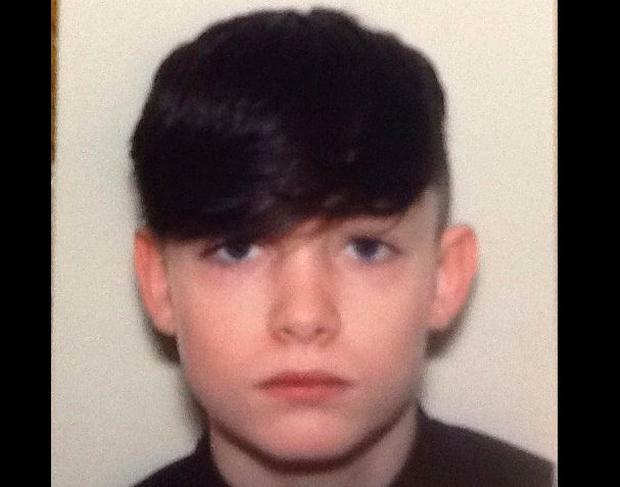 Police in Omagh have appealed for help in locating a 15-year-old boy who has been missing since Saturday. The PSNI online post with missing schoolboy John Crumlish's photo was last night being shared widely across Northern Ireland, as messages of concern poured onto the PSNI Omagh Facebook page. One sighting of missing John was reported. Lisnaskea woman Lorraine Wiggins said her little boy had been speaking to the missing Omagh teenager in Enniskillen on St Patrick's Day. Independent Omagh councillor Joanne Donnelly said she hoped the teen would be found soon. "I don't know the cub or his people," she said, "but it must be a very worrying time for this family with their boy missing. "My heart goes out to them." "I just hope he's found safe and well soon," the councillor added. A PSNI spokesperson said: "We are increasingly concerned for the welfare of 15-year-old John Crumlish who has been missing from the Omagh area since Saturday, March 17. "If you have any information on his current whereabouts, or which may assist our investigation, please contact us on 101 quoting reference number 1111 of March 17."